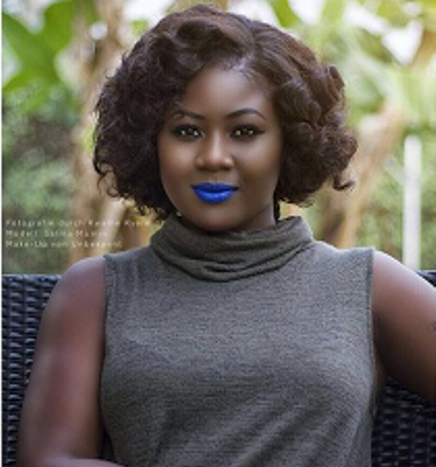 Adorable fellow, SALMA MUMIN is a beauty to behold; she’s got brains and knows what she wants for herself. She is one of the very few actresses who have added the title, ‘Executive Producer’ to her portfolio. 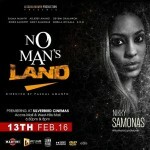 She has a new movie titled: ‘NO MAN’s LAND’, which has an interface between war and peace, social vices and the perception surrounding life during these times. It was written and directed by the multiple awards winning Pascal Amanfo and produced by Salma Mumin Pictures. 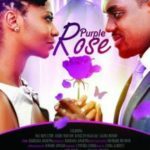 The movie is set to be premiered on the 13th of February, 2016, at the Silverbird Cinemas, Accra Mall and West Hills Mall, 6pm and 9pm for first and second. 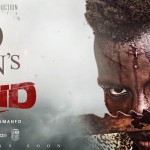 It stars top notch class such as KOD, Adjetey Annan, Nikki Samonas, Deyemi Okalawon, Doris Sackitey, and Wiyaala. Hello Salma, you seem to be garnering all the attention in regards to your new movie – NO MAN’s LAND, how do you feel at the moment? At this moment I feel great because of the positive feedback I am receiving from the public after they have seen both the art work and the trailer. We can only thank the fans and pray that everything goes well as envisaged. 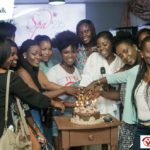 Years back, producing was seen as a male dominant venture but it has since changed with the in flock of women; what do you think was wrong then and why has it been embraced now? I don’t think anything has changed. I just think it wasn’t happening till now. We are happy we are all in this together. What inspired you to produce this movie which has its context around ‘war’, ‘peace’, and so much more; with the election of Ghana coming forth this year? The fact that it’s going to educate us on how useless war, conflicts and hatred is and how fruitful it is to make and live in peace. How much of hard work went into NO MAN’s LAND movie from start to finish? A lot of hard work went into it; from writing the script to shooting it. Script got edited several times just to get a great story. Cast were carefully casted, we needed actors that could portray what was in the script exactly. We waited and waited for some of the cast that where busy and out of town. We casted regardless of how much it was going to cost the company, all we needed were the rightful actors for the script. We had to travel out of Accra to Cape Coast and Aburi just to search for locations we needed in the movie. Special ‘thank you’ to everyone that made this movie possible. You acted and as well handle producing – which was more tasking, which did you find more pleasure working around with? It wasn’t really difficult acting as an executive producer and being an artist on set. This is because I took my time and planned everything as a producer and handed over to my production manager before I entered set as an artist. So I was just an artist on set. 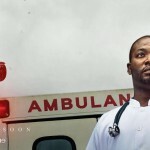 Within the latter part of last year and running into this year, so many movies have been premiered with some having had backlashes and some been praised – how do you see your movie to be like come the 13th of February, 2016 premiere? As I said earlier the movie was well planned. I and my crew invested our best into it so from my desk everything is well with the movie. But all the same I won’t mind when somebody sees something that my team and myself couldn’t see. I will listen and accept any criticism and correct it next time. We have more movies coming up, so we are open to ideas, criticisms and congratulations as well. During your filming, how was the synergy among the director, cast and production team like? Yes the relationship was great between director, crew and actors because we already knew each other before entering set. From the trailer, Wiyaala played a major role in the movie, how were you able to first, get her to be on your set, then second, to give her best as she did since this was her first shot? She was willing to shoot after she read the script. Her interest was in the moral of the story. The zeal to do more is what I cherish about her. I knew she was going to do great as a first timer. She didn’t disappoint any of us on set. 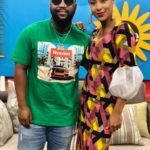 Adjetey Annang, KOD, Nikki Samonas are all seasoned actors, did you find it difficult ‘controlling’ these array of stars on your set? Not at all – there was no difficulty on set. I am blessed and am saying this because my set was very peaceful compared to other sets packed with celebs. I know what I am talking about, but let’s just concentrate on my set; the director is a seasoned one, so he did a fantastic job. Talking about the director, Pascal Amanfo we gather was fantastic once again, why did you opt for him to direct this movie? As you said, “fantastic”, yes I used him because he is ‘fantastic’! 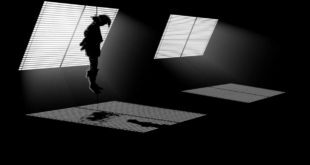 Most film makers sometimes do their movies based on real life stories which they may have found themselves in, or were told by somebody, was this, the case with your movie? Well we see, hear and understand that WAR & PEACE are the two things that really matters to us as humans, I don’t need to be in this or have someone near me go through it – the point is that we have to educate our younger ones coming and also set morale rules and truth in regards to what ‘war’ and ‘peace’ brings when we choose any. Financially a lot has been put into this movie; let’s just rate the movie as a high budget movie. Giving out figures now, may sound untrue or scary but they truth is that we spent our last dime. We hope we reap it back in thousands of folds. 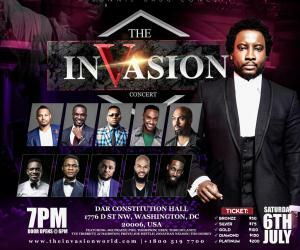 Talking about financing, some countries get their government to fund, they get corporate bodies to fund their movies – did you get anyone to assistance from the government in producing NO MAN’s LAND? I didn’t get any financial support from the government! I financed it all by myself. Technically, what are some of the things like cameras, among others did you use in shooting this new movie? Personally as an actor, I don’t know much about equipment but what I do know is that my director-Pascal Amanfo listed the best equipment to his knowledge for me and we got it sorted out. My equipment took half of my budget. Locations have sometimes been problem to producers, how were you able to surpass this? Locations somehow were a problem because we had to travel for hours in cars and walk from one point to the other because the cars couldn’t pass through. 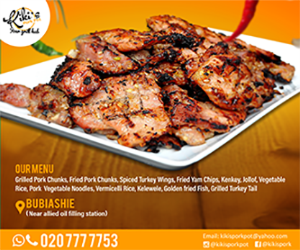 Inasmuch we went through all this, we can say that we did get the best. What would you say to the President of Ghana if you had the opportunity to have a chat with him on issues around your industry; how would you present your submission on movie making in Ghana as a producer? I will tell him to invest into the entertainment industry and give credit to our efforts. 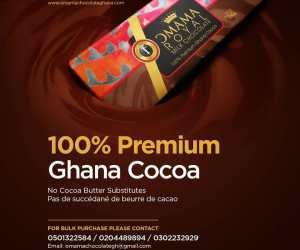 Other countries get support from their government and I think it is time for Ghana to benefit too. We are young people, we are hardworking people and we deserve to be pushed as an aid. What do Ghanaian movie makers have to do to put up great and challenging movies that will make continental headlines and go on to win awards? 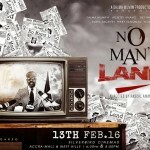 Producers should open their hearts and love the industry, invest in it financially to bring out quality movies such as NO MAN’s LAND. Following you on the social media, your fan base is fast rising, how are you able to manage the growing fame as an actress and a young producer? I simply manage my fans base just by giving them nothing but the best of me. I mean the real best of me. What should fans expect on the premiere night? My fans should expect a great movie from their idol. From the director to the cast to the production team, we gave our best worth celebrating and we hope that on the 13th of February, 2016, we shall not disappoint them. 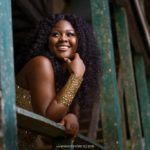 “For once we had HOPE in the Ghana movie industry but as it stands” – SALMA MUMIN reacts to Golden Movie Awards gaffe? 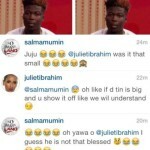 Must SEE: Juliet Ibrahim & Salma Mumin ridicule the size of the ‘unwise’ WISA who will never remember December again! Previous $50K tale: If this rumor is true about PRINCESS SHYNGLE, then she has no shame!